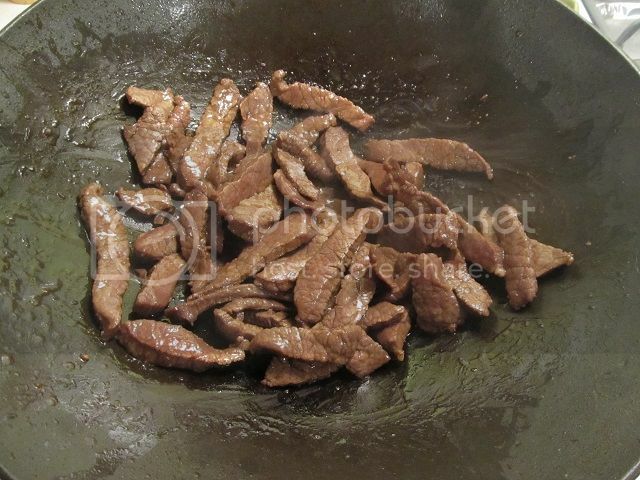 Im velveting some venison for a stir-fry. This meat is from the hind leg of an old, mature doe I took with my bow but this method is not just for tough old deer. All meat will benefit including wild turkey. The method Im using requires only baking soda and a half hour of your time. Start by cutting your meat in thin strips, about an 1/8th of 1/4" thick. 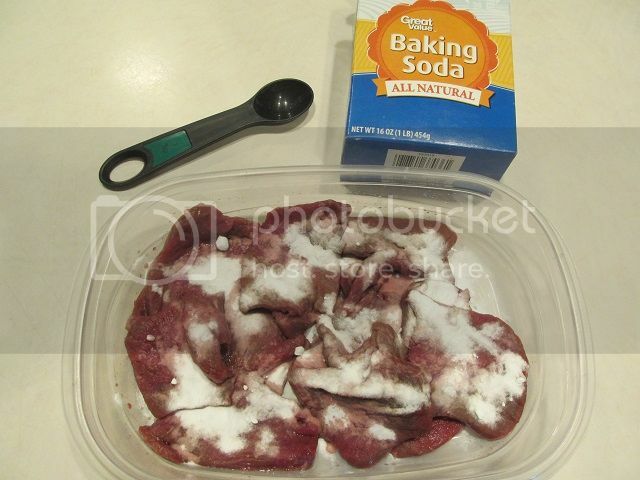 Next coat the meat in baking soda. I wont matter how much since your going to rinse it off later but 3 tablespoons per pound ought to do but more wont hurt. Set the meat side for a half hour while you prepare the other parts of the meal. After a half hour, rinse the meat under running water to remove all the baking soda. 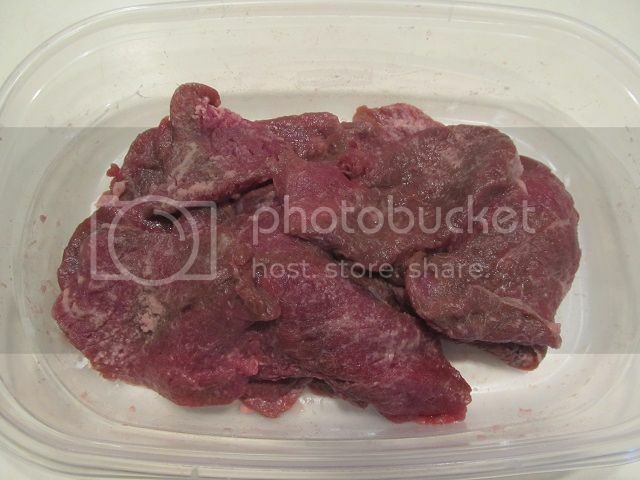 Bring a pot of water to a boil and plunge the meat in the water for about a minute. I removed this meat in the time it took me to take this photo. The meat will be cooked more later so this meat is still going to be very pink inside at this point. Now you can season or marinate the meat with whatever trips your trigger. 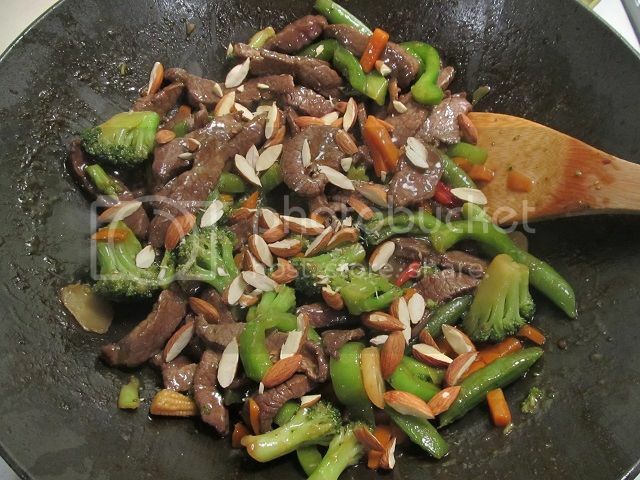 For this meal Im using Teriyaki, soy, oyster sauce and lime juice. Marinate for as long as you wish. You can even set aside and cook this venison the next day or so. 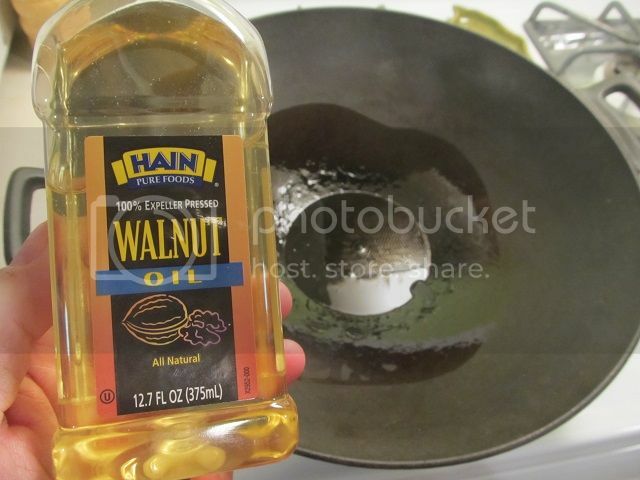 When you are ready to cook the meat, heat your oil of choice and quickly sear the meat and set aside. 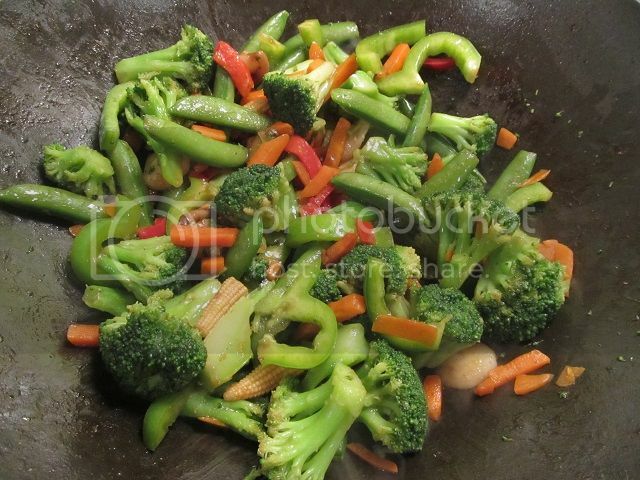 For this dish I'm stir-frying some vegies. 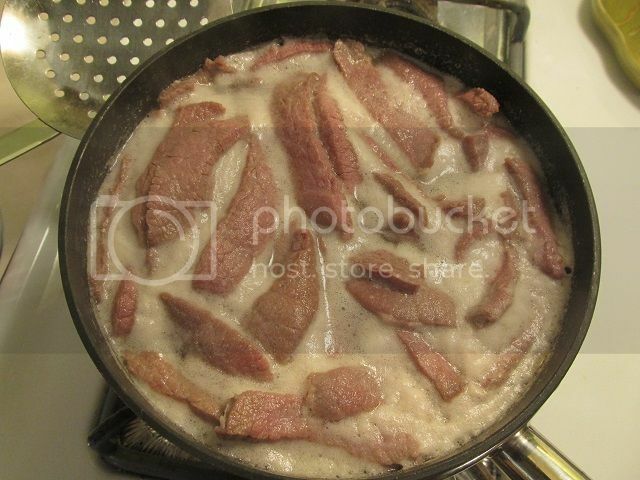 Next I add the velveted meat and some chopped almonds. 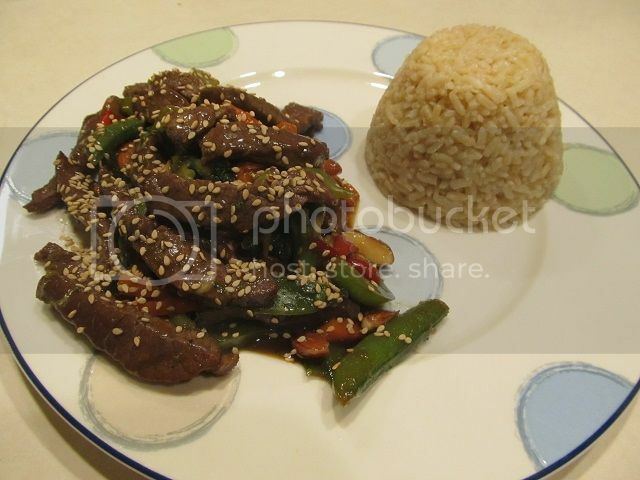 Then plate and sprinkle with sesame seeds and serve with some brown rice and enjoy the most tender venison you have ever eaten. Looks good! 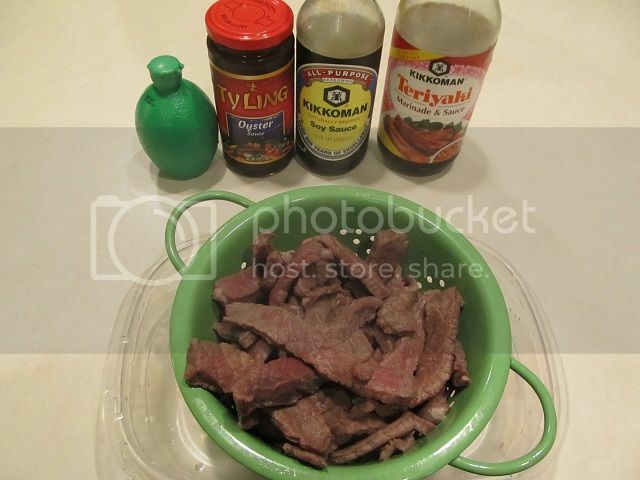 I'm not a huge fan of Asian dishes...but I'm definitely gonna give this method a try for fajitas. Looks like it'd turn out darn good. Thanks. Interesting. Looks like good food.